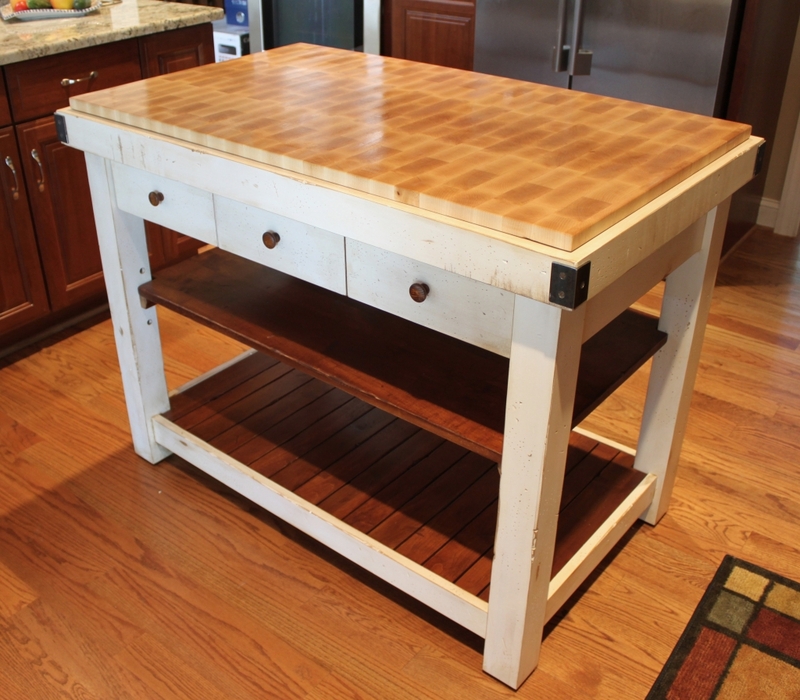 This was a fun project inspired by the old family butcherblock table used by the client’s grandmother in years past. 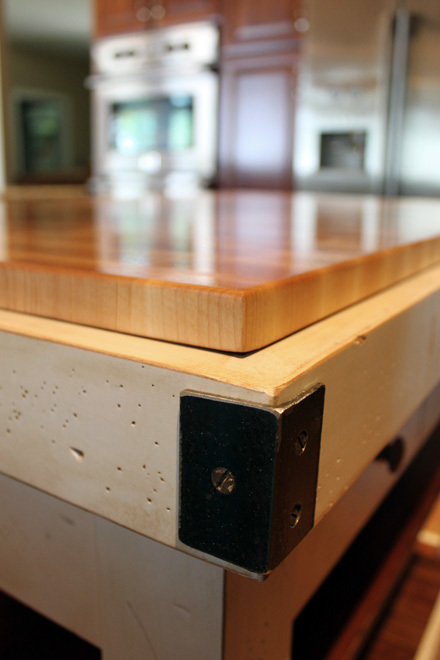 The design was a collaborative process between the interior designer, the clients, and myself and drew from several “time-worn” pieces that weren’t quite the right dimensions. The top was hard maple and the island structure was painted poplar. 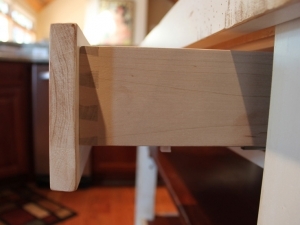 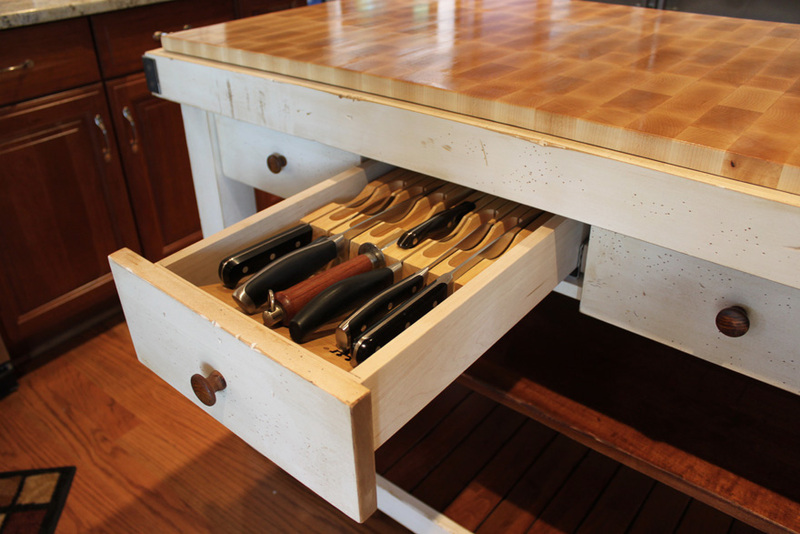 The drawers had hidden, soft-close slides and were constructed with hand-cut dovetails.